American Indians lived on the lands of modern-day New Mexico long before Spanish settlement in the 1500’s. With such a long history in these lands, the Native American’s timeless traditions, arts and beliefs continue to enrich the state today, and make it the fascinating place that it is known to be. The Pueblo’s–Spanish word for towns—of New Mexico are the oldest tribal communities in the country, and are richly historic communities of people who continue to practice the time-honored traditions, beliefs and practices of their ancestors. 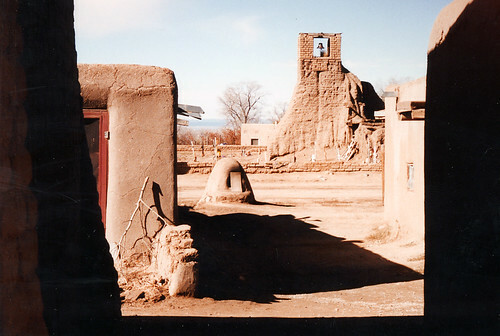 Each Pueblo is a self-governing community with distinctive traditions, ceremonies, beliefs, and languages. 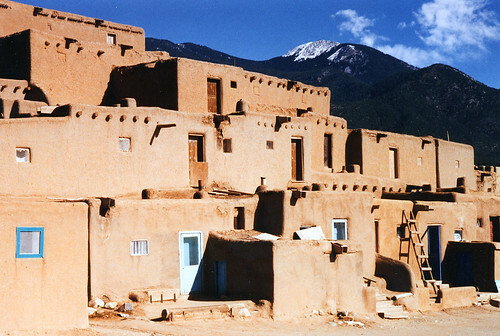 Throughout New Mexico, there are 19 different Pueblo’s still in existence, including the Eight Northern Indian Pueblos north of Santa Fe. These historic communities open their towns to visitors throughout the year whom are seeking a meaningful experience of Pueblo culture and traditions. This winter, take the opportunity to visit an ancient Pueblo during the Pueblo Feast Days, and experience for yourself the ways in which these remarkable cultures retain a strong connection with their past. Stay at our luxury Santa Fe Bed and Breakfast this winter, and don’t miss the chance to experience winter dances and feast days at our regional Pueblo’s. Feast days are a time for tribal members to come together, and to renew their culture, language and native religion. Each Pueblo hosts its own feast day, which is named after its individual Saint of the Pueblo. Feast Days at Indian Pueblo’s are an important and ceremonial time of year. This January, visit one of the best known New Mexico Pueblos, San Ildefenso. The people of this Pueblo have lived in the present site since before thirteen hundred A.D., and retain a strong sense of history with their ancient ceremonies, rituals and tribal dances. One important festival performed during this feast day is the Buffalo Deer Dance. If you are in Santa Fe during these Pueblo Feast Days, you should take the time to experience this remarkable display of cultural history. It’s a performance you won’t forget. However, if you do decide to visit Native American Pueblo’s, please do always remember to understand and practice pueblo etiquette, as you are a guest in this ancient and treasured community. We look forward to sharing this wonderful part of our regional history and culture with you this winter.